The beautifully crafted Jaspè close spread tooth comb is ideal for finer hair. 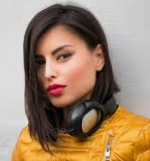 Adding volume and lift so even fine or flat hair remains full and bouncy all day. 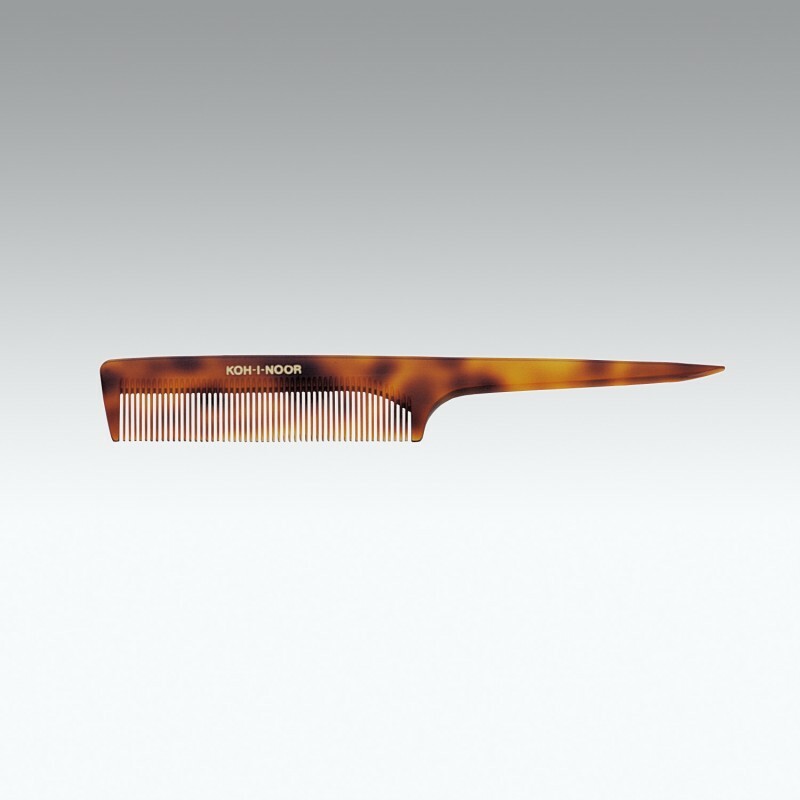 Care: Remove any excess hair from your comb and swirl the comb in a bowl of lukewarm water with a little shampoo in the water. Rinse thoroughly, removing all soap, dirt, hair and oils. Air dry. Handmade of cellulose acetate with a gold-stamped logo. Comes in velvet pouch. My hair tends to fall flat. 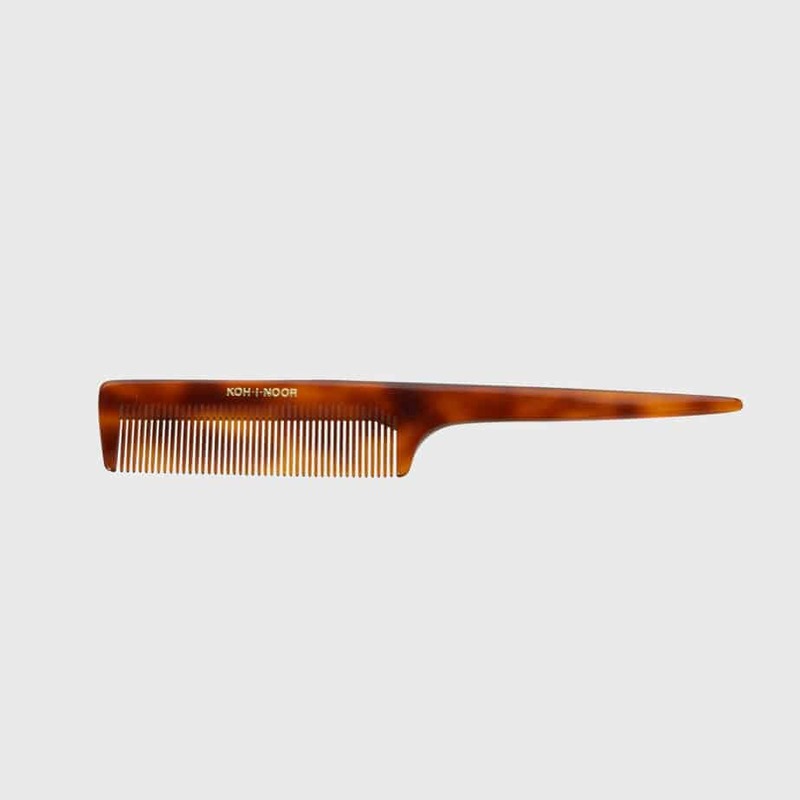 This comb is great and giving my hair more volume and my hair never breaks or tears. I like a classic look and this cob really helps me get it in a simple way. No mid day hair issues! Clean and chic - that's my personal style but with fine hair sometimes it can look limp and flat. I really like how this comb keeps my hair looking full.